Female was sent on loan by Brian Kim (EDED). 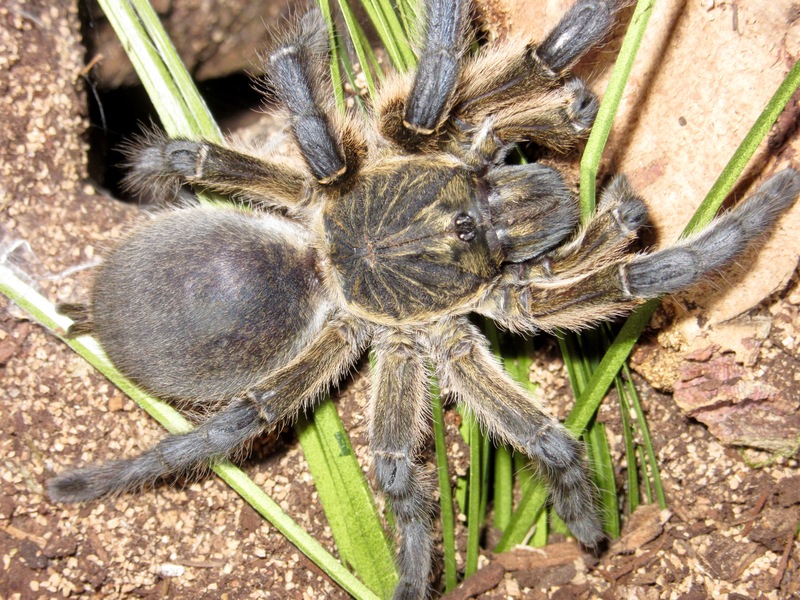 She was stated to be freshly molted. Male matured a few months prior to receiving it. Was a gift received from Steven (Steve123). -Female was pre conditioned prior to mating. Which wasn't anything spectacular. Temps were 80 degree, humidity 55%-65%. I fed the female an adult dubia 3 times a week. -She settled in after 3 weeks after receiving her. I then decided to introduce the male. Male was introduced at the opposite end of the females tank. He immediately began tapping. As soon as he shook once, the female came out tapping as well. The male closed in, lifted the female up, and did 10 seconds of insertions. 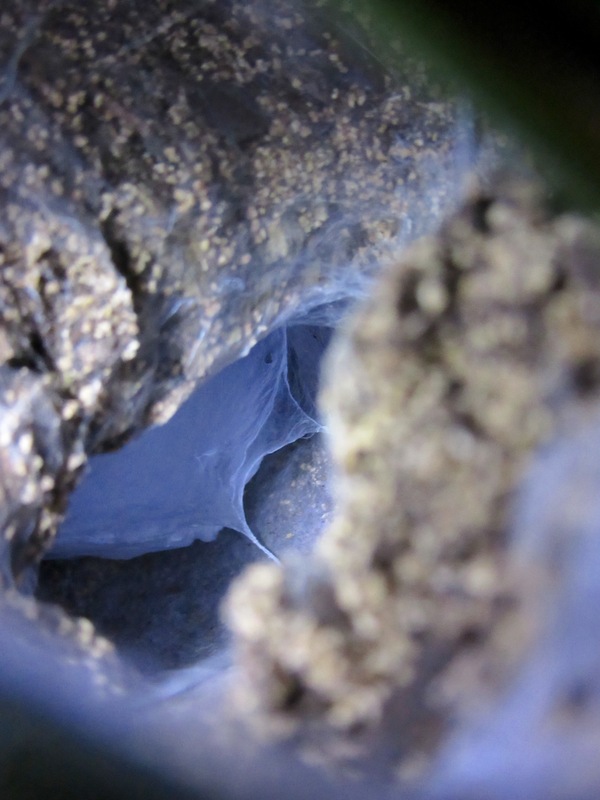 I mated them a few days after this initial pairing, as I saw fresh remains of a sperm web by the male. The process went smoothly like before. On both mating attempts, male made a smooth insertion each time. Mating itself last no longer than 3 minutes each time. 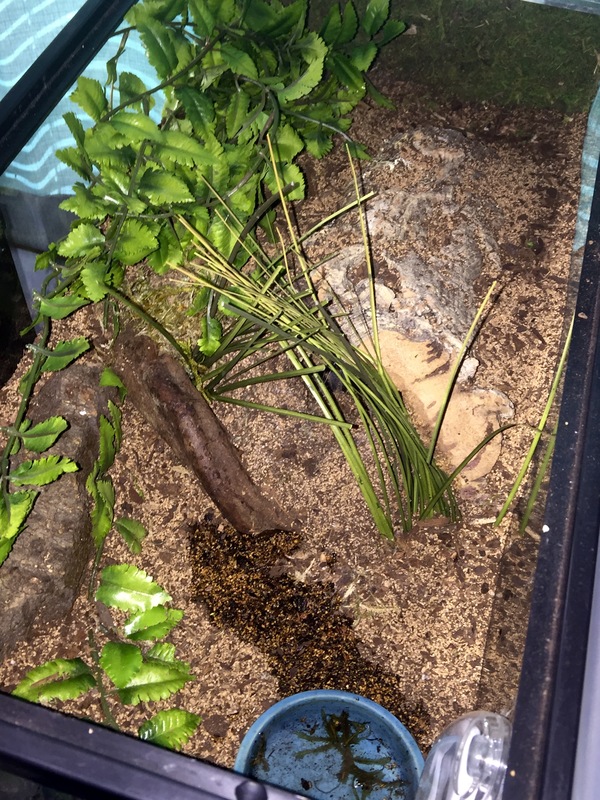 Female was fed a mature female dubia every day, until she refused. She ate it each time. Part of my secret of success lately is how much and often I feed the mated females I believe. 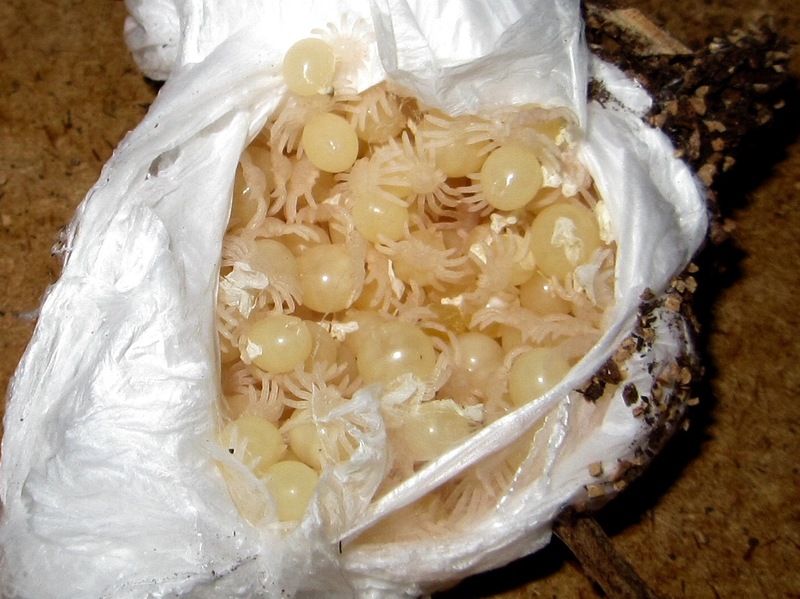 Each sac of whatever species I've produced, contains double to triple the average amount recorded for that particular species. I lightly sprayed the tank about once every 8 days. The temperature inside the tank rose to an average of 87 degrees. Humidity around 60% still. Sac was laid March 29th. I pulled the sac April 17th. 96 ewls inside at the time. I pulled early because the average inside tank temperature was so high, that I knew they were developing much quicker. They were 2i by May 10th. Ended with much less, around 68 I think. 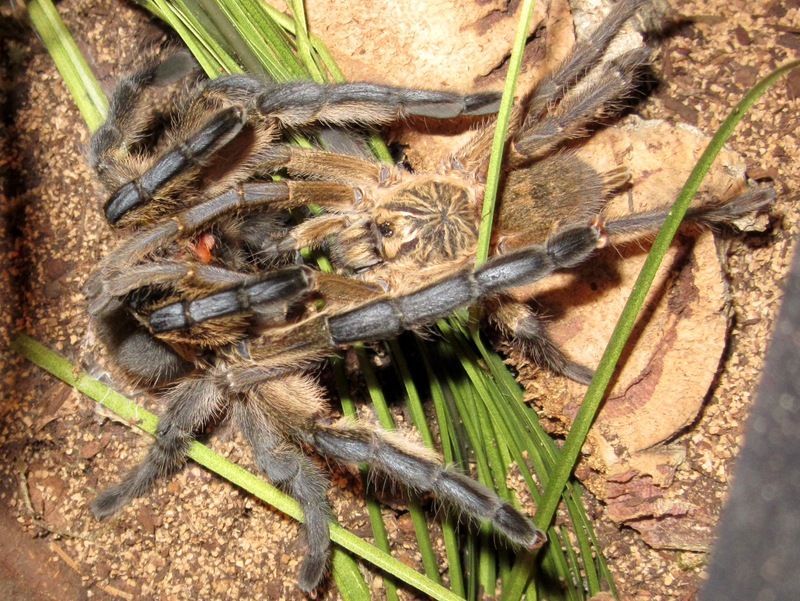 When it came to them molting into 1i, many ewls became stuck. 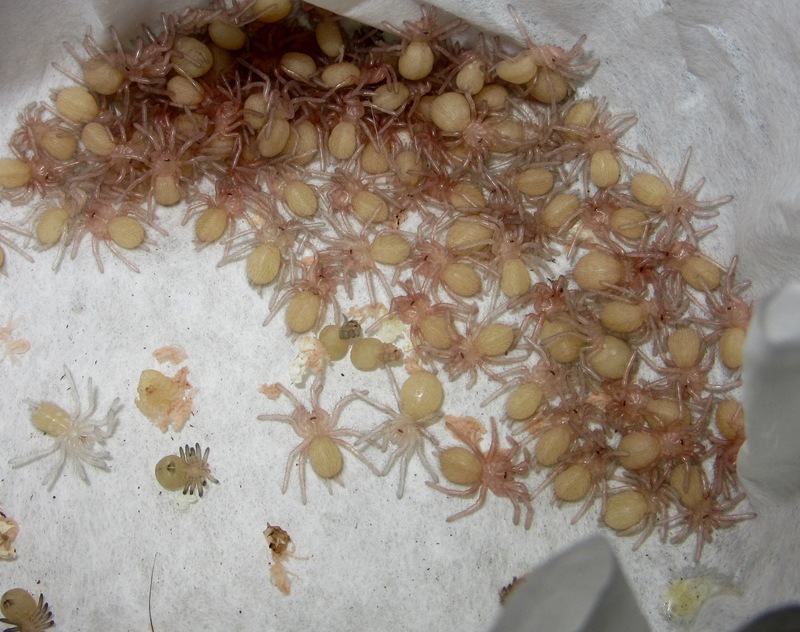 Not sure if it was too dry in the incubator, or if the pile of 1is on top of the ewls prevented them to molt. I had a Siamese pair out of this clutch, they made it to 1i, however not to 2i. 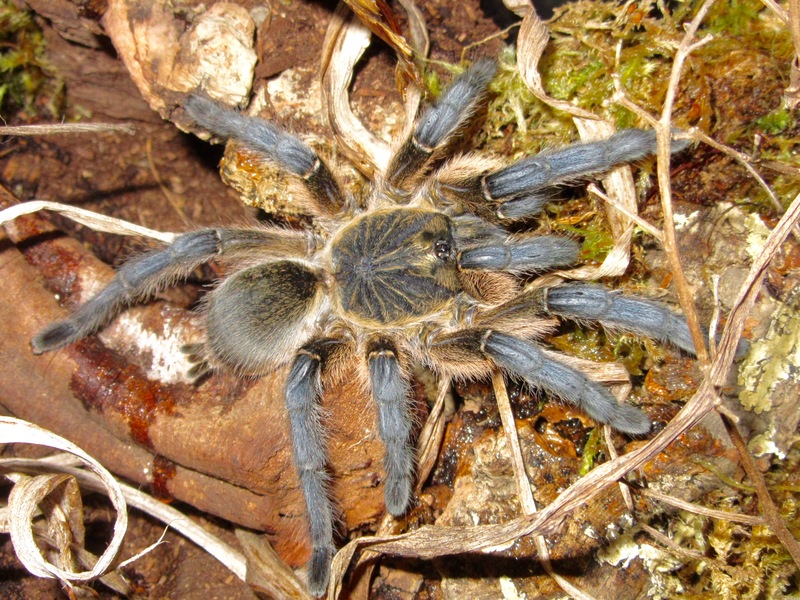 Female molted 3 weeks ago. Received new MM a few days ago. Now to try this again with three freshly molted females. I would personally like to thank Brian for giving me the opportunity to use my male, and breed such a wonderful, rare, and gorgeous species. Thank you again my friend. James O Doherty, WebBrowser, ayskyub and 4 others like this. 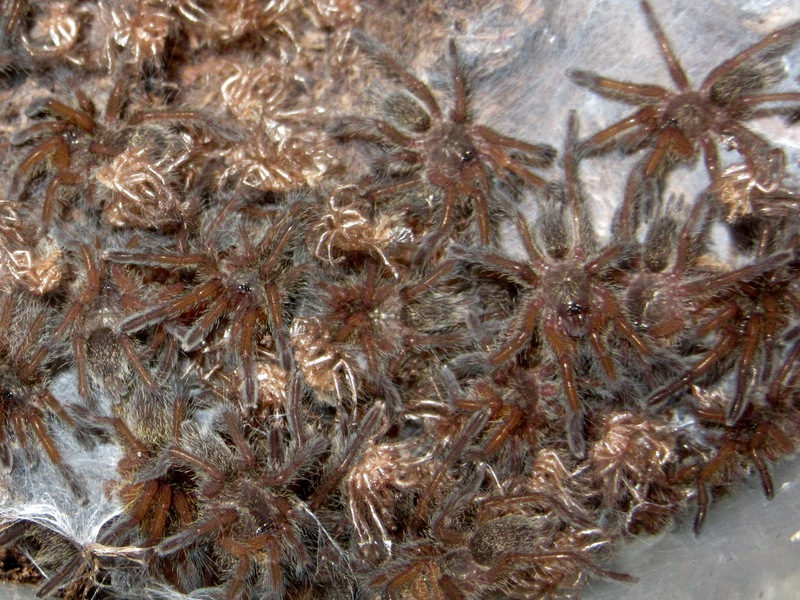 More information about the Genus "Avicularia" can be found here.